Many don’t realise that this is actually a sequel to a movie entitled Double Tap (槍王). It was a psychological action-thriller about how a gun-shooting champion becomes addicted to killing people. It was a class act by the late Leslie Cheung, regarded as one of his best acting performances in his career. 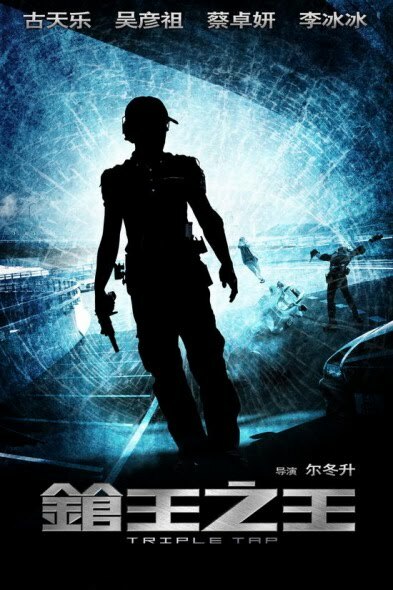 Whereas for this sequel, the plot is about how the reigning new gun-shooting champ (played by Louis Koo) becomes a crime suspect to a cop (played by Daniel Wu) after killing a bunch of robbers he ran into. The plot is interesting but I disliked the sequence arrangement of the film. The beginning part kinda tricked the audience from guessing the truth before it’s revealed. The acting of the extras, as usual for Hong Kong films, are terrible and the dialogues are kinda lame and corny. The music used in the movie kinda made me feel like I’m watching an old movie. I was expecting a long action-packed gunfight finale but there isn’t. Louis Koo’s role here is quite similar to Leslie Cheung’s one in Double Tap and therefore it’s only natural for me to compare their acting in their respective installments of the title. Personally I felt that the character was too sophisticated for Koo to play and putting on a emotionless grumpy expression throughout the show just didn’t work for me. Furthermore, his style of saying the tagline “Are you ready?” is not as compelling as how Cheung did in Double Tap. I also noticed that his lips look arkwardly flat and his face looks kinda botoxed in the movie. Verdict: Interesting plot but horrible acting and script. Perhaps the biggest mistake of the director was the arrangement of the film sequence. I wouldn’t say it’s a total waste of time watching this but it’s not worth paying for. If you haven’t seen Double Tap, I would suggest you to watch that instead. The title of the film? Triple tap, in terms of gun-shooting philosophy, basically means shooting three times instantly to the same exact spot. *Ba-ba-bang! * However, unlike in Double Tap, the title holds no major relevance or significant importance to the main plot of the movie.